Lying at the head of Loch Awe, Scotland longest freshwater loch, you will find a most curious thing – a ‘hollow mountain’. Ben Cruachan, one of Scotland’s Munros (mountains over 3000 feet) is home to the only underground pumped storage hydroelectric power station in Scotland. Taking six years to build Ben Cruachan Power Station was opened by Her Majesty Queen Elizabeth II in 1965. Housed in a huge cavern big enough to accommodate the Tower of London situated deep beneath the mountain this invisible power station is truly an awesome construction – and you can visit it! Not only is Ben Cruachan power station a working industrial complex it is also a major tourist attraction with 50,000 people braving the underground journey each year. There is a well-equipped and laid out visitor centre with interactive displays showing how the power station works including a working model of a turbine generator. Once you have taken all this in you can then board the minibus (small charge) which will take you along the one kilometre access tunnel to a point close to the turbine hall (which was featured in the James Bond film ‘The World is Not Enough’). From there you must walk the last few yards to a viewing area. A guide accompanies you and points out various interesting things like the tropical plants growing in the warm, humid atmosphere and the drips of water from the roof of the tunnel: water which has taken two years to percolate down from the reservoir lying in the corrie many metres above your head! Ben Cruachan Power Station can be found at the head of Loch Awe on the main A85 Oban to Crianlarich road. 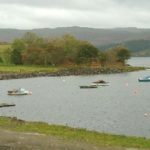 There is a cafe and picnic area where you can enjoy a light lunch in a scenic spot overlooking the loch as well as a gift shop and a large, free car park. Note: For the energetic the mountain Ben Cruachan can be climbed from the visitor centre on a route which takes you past the spectacular dam and reservoir and gives great views down the length of Loch Awe but it’s a long, hard climb and full hillwalking gear and a good level of fitness is required – you have been warned! 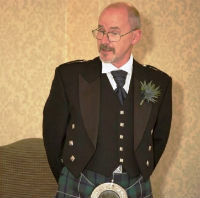 A Scotsman born and bred I love to roam Scotland’s hills and wild places taking photographs and writing about my travels around the country and all things to do with my homeland.